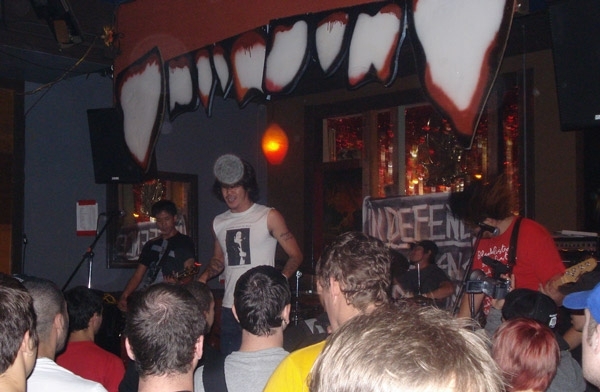 Fest 12 is Scene Point Blank’s seventh time in Gainesville. In that time we’ve talked to more bands than we care to list (but they’ve included Dillinger Four, Paint It Black, The Ergs!, Riverboat Gamblers, and a heap more). They’re all great interviews, but this year we wanted to bring something new. We reached out to venue The Atlantic for their perspective on Fest. Below is an interview with Tom Rankine, a former touring musician himself (splitting his time in multiple bands including As Friends Rust and co-founding Sound Study Recordings), and bartender, band wrangler, and promotions man for both the Atlantic and its new sister venue The Wooly. 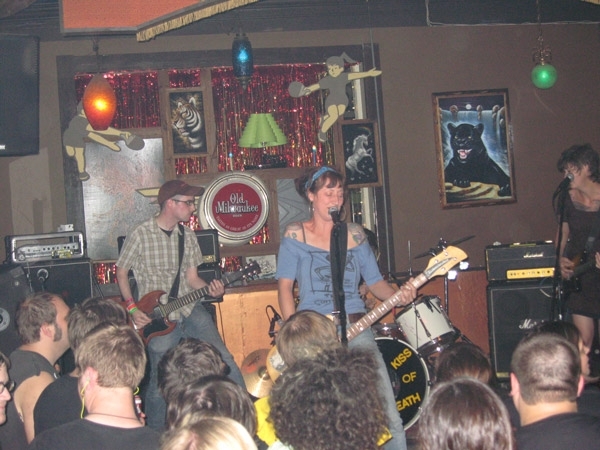 The Atlantic is Gainesvilles’ longest running music venue and opened in June 2004. It shares ownership with The Top Restaurant, The Wooly Event Space, and Pop A Top Corner Store. Scene Point Blank: How long have you been working at The Atlantic and The Wooly? Tom Rankine: I’ve only worked a handful of shows over at The Wooly so far but have spent the last 8 years at The Atlantic. In October of 2005, I received a call from the bar manger (Mike Lipscomb) who I didn't even know at the time, asking if I would work the door for a local Black Sabbath tribute band called Volume Four. I had just gotten situated back in Gainesville from a steady pace of traveling/playing music and was totally burned out. All I wanted was something steady that didn't involve cooking in a kitchen and waiting tables, so a mutual friend passed my number along and the rest is history. I worked the door for about two years then moved over to bartending sometime in 2007. At this time Tony Weinbender was handling all the booking for Atlantic. I think sometime in 2008, we started chatting on the idea of me helping out with booking. After maybe about a year, Tony eventually got too busy with his upstart promo team Southern Lovin’ and had to pass the torch, which made sense since I would bartend every show anyways. The better job I did to promote the date only reflected on how well the bar would do. Kind of a win-win situation. Scene Point Blank: Were you involved with Fest before you worked at these venues? Tom Rankine: My only involvement with Fest has been working at The Atlantic. Scene Point Blank: For us out of towners, what is The Wooly? Last year, New Top Spot was brand new and created, seemingly, just for Fest. Is it now a year-round venue? Tom Rankine: The Wooly is the same space as the New Top Spot. Instead of the empty shell it was at last year’s Fest, it is now a full-service event space which houses select and occasional live shows, movie screenings and art shows, plus caters wedding receptions and large parties. Scene Point Blank: How much preparation is required of local businesses before Fest begins? Tom Rankine: Ordering your booze accordingly and staffing security to anticipate max capacity all weekend is a total stress out on its own. I’d imagine the local businesses that don't normally deal with a sea of punks and loud music all weekend have a lot more prep and stress then the few venues in town that handle this on a somewhat regular basis. Scene Point Blank: How does the festival affect the city from a local perspective? What changes? Tom Rankine: Aside from bringing a lot of new faces to town, I’d say the biggest change is the shirt color from orange-and-blue to black-on-black, since a lot of the local college folk split to Jacksonville for the weekend to watch football. Scene Point Blank: Does The Atlantic's role in The Fest help the venue in attracting touring bands year-round (i.e. does it help the venue's name recognition for booking shows)? Tom Rankine: Yeah, it definitely helps amongst the punk community to have our name attached to the Fest. Scene Point Blank: I know most of the sound work around town is done by volunteers during Fest. Is this the same at The Atlantic or do you use your regular staff? Is this an "advantage" compared with some of the non-traditional venues who also host shows? Tom Rankine: We get some volunteers to help out at the door, which is sometimes helpful and other times totally pointless but we always staff our own team. I’d think [having our own sound team] is an advantage mostly because of the experience our staff has at hosting live shows. We already know what to expect and what to look out for. 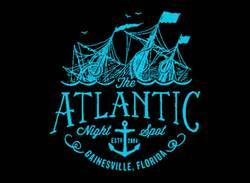 Scene Point Blank: This may be a given to Gainesville locals, but what goes into the decor at The Atlantic? Tom Rankine: The aesthetic is all the owner Scott Shillington's ideas. Keep an eye out for the rows of teeth lining the stage again this year. Scene Point Blank: What's your favorite venue in town to catch a show when you aren't working? Tom Rankine: I’m totally biased but both The Atlantic and The Wooly, depending on the type of show, are the two best places for live music in this town in my opinion. Scene Point Blank: Do you get a chance to enjoy Fest outside of work, or is it strictly business for you when everybody comes to town? Tom Rankine: My only Fest enjoyment aside from actually working the entire time is getting to hang with my good buddy Lukas Hauser. He travels all the way from Austria every year to attend Fest and crash at my place. Scene Point Blank: What location in town, so far, has done the best job of becoming a temporary venue during Fest but otherwise doesn't host shows? Tom Rankine: I honestly couldn't tell you because I don't ever have a second to go anywhere else and catch a band play. Scene Point Blank: What's your favorite part of Fest? Tom Rankine: The part where I'm sitting down sipping a cold one talking about how crazy this year’s Fest was. Scene Point Blank: Anything else? Tom Rankine: Thanks for your interest in what we do! Words by Loren on Nov. 11, 2013, 5:14 p.m.
Posted by Loren on Nov. 11, 2013, 5:14 p.m.
Posted Oct. 26, 2009, 2:10 p.m.
Posted Nov. 11, 2013, 5:17 p.m.